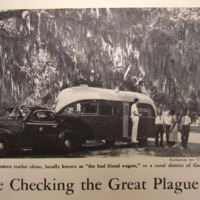 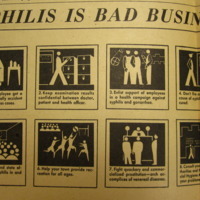 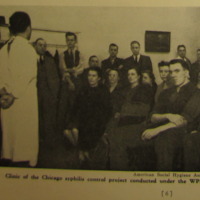 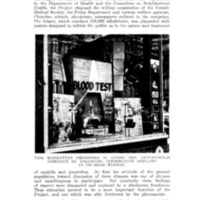 This photograph shows a display about the syphilis campaign in the window of a drugstore in New York City. 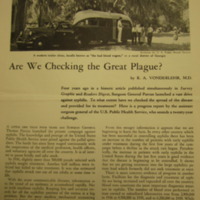 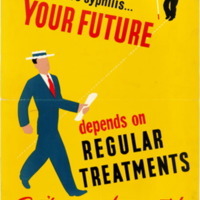 This is the cover page of a broadside created and distributed for National Social Hygiene Day. 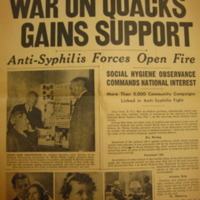 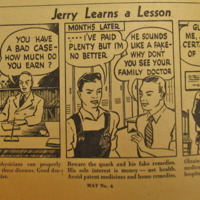 It's headline addresses the year's theme--quackery. 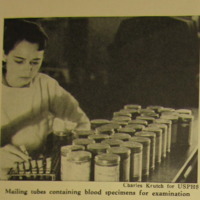 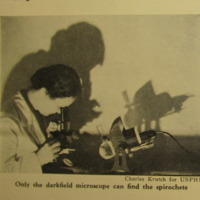 This photograph shows a woman examining a syphilis sample under a microscope. 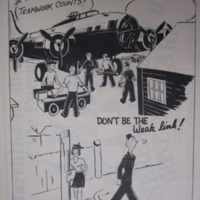 "In the Air--Team Work Counts! 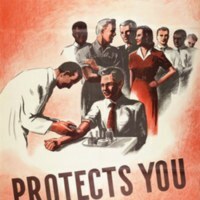 Don't Be the Weak Link!" 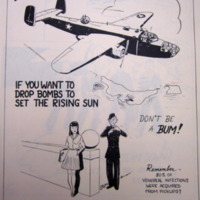 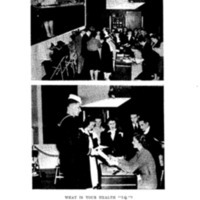 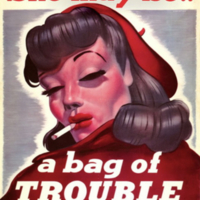 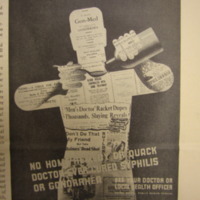 This poster warns servicemen not to let down the "team" by contracting VD from a pick-up. 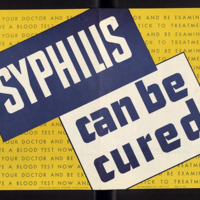 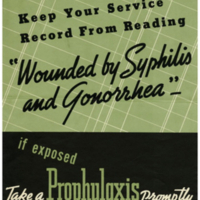 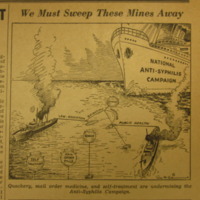 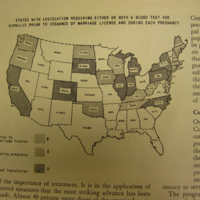 ""Keep Your Service Record from Reading 'Wounded by Syphilis and Gonorrhea'"
"if exposed Take a Prophylaxis promptly"
This poster urges servicemen to use prophylaxis.